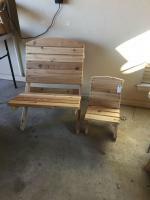 JDC Furniture Shop Online and Order Today! 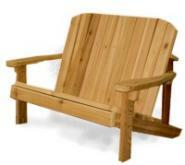 JDC Furniture designs and builds Western Red Cedar Adirondack Chairs, Tables, Benches and other outdoor lawn furniture. Our furniture is handcrafted for a lifetime of quality and comfort. Shop Online and Order Today! 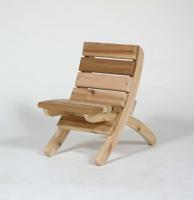 The Junior Sports Chair is ideal for those on the move. Comfortable, easy to set up, easy to store and easy to transport, the Sports Chair is ideal for those on the move. The Sports Chair Big Boy with the Sports Chair Junior.